In Italy anti-semitism before fascism was the same in the rest of Europe and world. As You know, in all Europe was an anti-semitism feeling inspired by christian religion ( ebrews were considerated Deicides..). 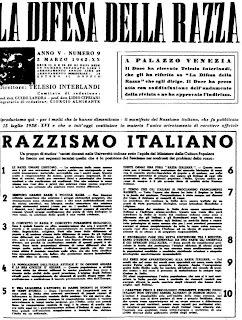 After nazist made policies anti-ebrews also in my Country, Italian racist laws starded (1938). should be noted first of all that in the first years of the twentieth century, in Italy, the communities adhering to Judaism were integrated in a satisfactory manner, within the Italian society. At the same time, anti-Semitism said was limited to scarce parts of the Catholic world. In 1902 there were six Senators of the Kingdom of Italy of the Jewish religion; go up to nineteen in 1922. In 1905, Alessandro Fortis is the first jew to become President of the Italian Council. The next year, it's up to Baron Sidney Sonnino, son of jew father and Protestant mother (and Protestant himself) in 1910, Luigi Luzzatti, jew, he was appointed prime minister. The Jewish contribution to the First World War was consistent: Italy had fifty Jews general and one of these, Emanuele Pugliese, will be the most decorated Army. Many Jews became Italian fascists, that from 1922 until 1938, the year in which fascism enacted racial laws. It is estimated that only about ten percent of the Jewish people will enroll to the fascist party (on average with the other Italian Roman Catholic). Mussolini, before the racial laws of 1938, sometimes praised the Italian Jews, declaring that Italy had finally found their Holy Land, in other cases described them closer to the powers of the bankers and the Russian Communists, other times it was said against the racism, (perhaps only for propaganda purposes), Mussolini had a Jewish woman lover (Margherita Sarfatti), who wrote his first biography published. "Ethnicity: this is a feeling, not a reality; 95% is feeling. I will not believe that you can prove that one race is biologically more or less pure (...) Those who proclaim the noble Germanic race are combined for all non-Germanic: French De Gobineau, Chamberlain English, Woltmann Israelite, French Laponge again. Such a thing will never happen to us. National pride has no need of the delirium of race (...). Anti-Semitism does not exist in Italy. (...) Italian Jews have always behaved well as citizens, and as soldiers fought bravely. 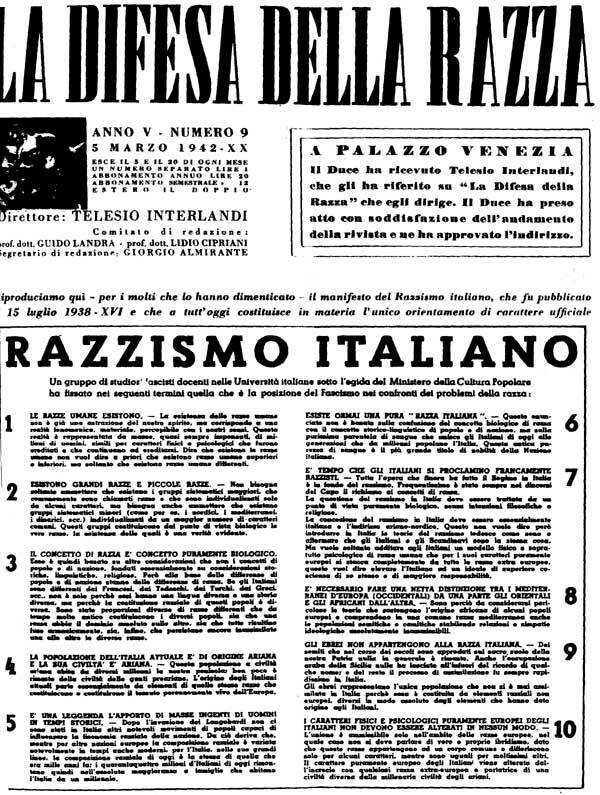 In the summer of 1938, the Italian press began a slanderous propaganda against the Jews (propaganda issued by the Ministry of Popular Culture, the famous MinCulPop). In September, was issued the first "racial laws" according to which all Jews were banished Italian public life. Even the attendance of the public schools was banned for young people from Jewish families. The fascist government in September 1938 issued a decree that established the ban "to foreign Jews to establish a permanent abode in the Kingdom, in Libya and the Possessions of the Aegean 'and expulsion, within six months from the date of publication, to those you resided including those who had obtained Italian citizenship after 1 January 1919. In February 1940 Mussolini ordered that he be organized the deportation of Italian Jews in the next ten years. 2,021 Italian Jews disappeared during the Nazi occupation in Italy. This is due to 2 large raids, which were made by the Nazis in Rome, between 1943 and 1944. The first roundup of Jews by the SS, took place in Trieste in 1943, when they were arrested and deported to concentration camps about 900 Jews. 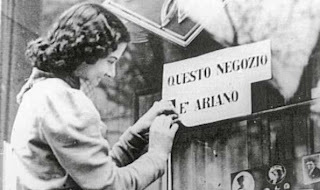 Many Jews became part of the resistance, and anti-Jewish feeling never quite did not catch on in Italy, and although to date there is a part of the Italian population racist, this is more towards a 'skin color racism', or to 'non-EU', ie towards people not part of the European community. This 'return racism' in Italy has developed mainly because in the last 20 years there was a great migration of peoples from Africa, north Africa, Asia, which in many cases are integrated in a manner difficult in our Country. In Italy there are very advanced legislation to help the integration of foreigners in our Country. More than racism could therefore speak of 'suspicion' towards peoples and cultures different from our own.